Brush fish lightly with oil. In bowl combine remaining ingredients. 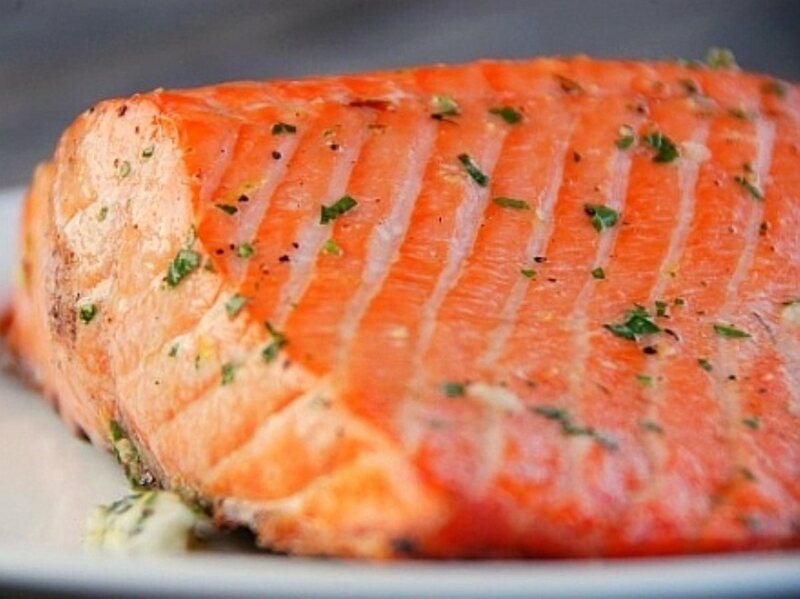 Place salmon on well-oiled, hinged grill. Baste salmon with lemon butter mixture & cook 5 minutes, then turn & continue cooking 5 minutes. Baste with lemon butter several times during cooking.